ItemCUMB_984.091.003 - Cumberland Chinatown Reunion Dinner at Paris Restaurant on Hastings Street in Vancouver B.C. Item CUMB_984.091.003 - Cumberland Chinatown Reunion Dinner at Paris Restaurant on Hastings Street in Vancouver B.C. 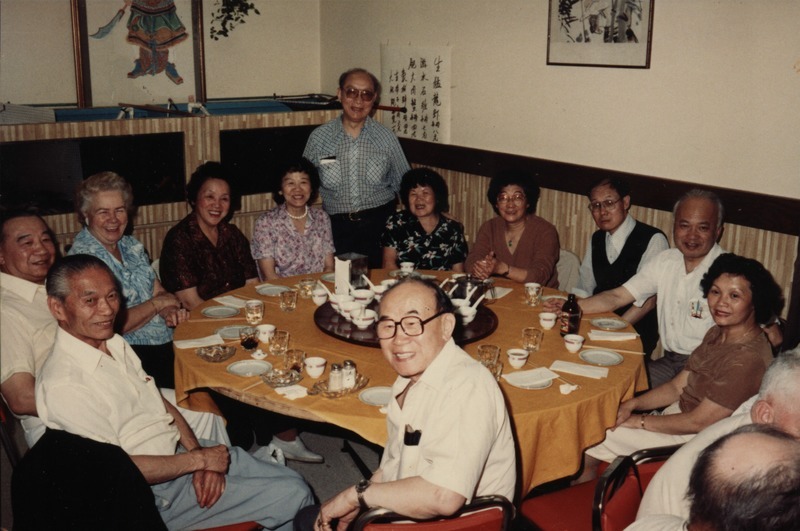 People identified in this photo are: Front: Harry Fong, Clockwise From Left: Moone Chan, Jimmy Fong, Mrs. Jimmy Fong, Mrs. Harry Fong, Mrs. Ann Chan, Harold Lim, Mrs. Hazel Lee (Nee Chow), Mrs. Lily Chow, Quon Lim, Bill Chow, and Mrs. Faye Leung; Date: June 24, 1984.